Everybody is on the hunt to find the very best but this search comes at a cost. People spend countless hours crawling the web and reading reviews from complete strangers in the hopes that they will find a new favorite. They bounce around from site to site to research entertainment, restaurants, travel destinations and more, all the while losing efficiency and building stress. 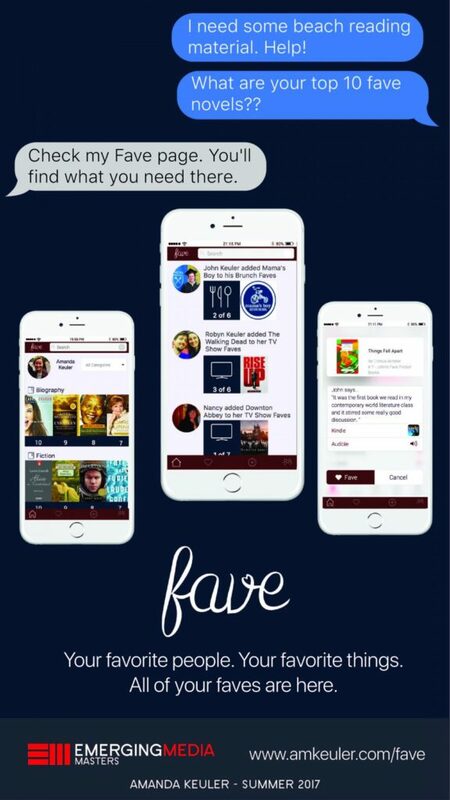 Fave is a social recommendation and list-making app that lets users rank their top ten favorites in a variety of genres, read recommendations from their friends and instantly try these recommendations for themselves. Fave is a one-stop shop app for finding the best things that are approved by people you trust.